February | 2010 | KARIBU! Life seems to just be flying by right now! 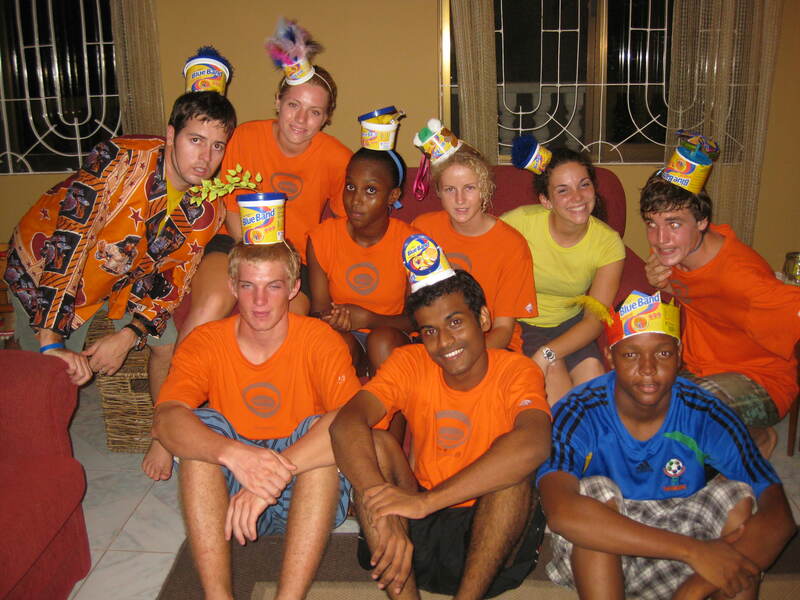 Between three different trainings with Young Life, (we were a part of some and just got the benefit of being able to hang around some of the others), going to the Rain Forest, (which was awesome and I will blog more about), parent-teacher conferences, and heading up to Arusha and Moshi to spend time with friends and hike up to Base 1 on Kilimanjaro this weekend, I have had no time to blog. Hopefully I will get caught up soon! Either way, we are having lots of fun, learning A TON, and grateful for all the Lord is richly blessing us with at this time. Much more to come on all of these things. Austin, and I, and all of my fifth graders are headed to the Rainforest tomorrow bright and early. This is a yearly trip for the fifth grade class as they study the Rainforest. We are super excited about this opportunity and are eager to get out of the heat and in the mountains! We will be at the Amani Nature Reserve. Check out the webiste http://www.amaninature.org for more info. Of course there will be pictures and updates when we get back. 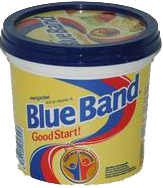 I know that I have mentioned Blue Band before but I just wanted to elaborate a bit on this vital staple used in practically every household in Dar es Salaam and beyond. It is sold virtually everywhere and is used as the household butter. However, this is NOT BUTTER! It is not even a margarine in my opinion, though it is more a margarine than a butter. It does not need to be refrigerated and even if it is it does not get hard. It has it’s own particular flavor and if you use it too cook there is no mistaking Butter for Blue Band. It is used to cook everything here! As much as I stood my ground at first and only used real butter, which costs 10 bucks for a regular size chunk of butter and spoils a day or two after being unfrozen, I too have now begun to use this mystery product. It is just easier and way more economically friendly. "High in Vitamins and Fats"
After brainstorming ideas for new clubs for WYLD LIFE I came up with Blue Band Club, basically a modified Crisco Club or Spam Club. The team liked it and so we did it! It was INCREDIBLE! 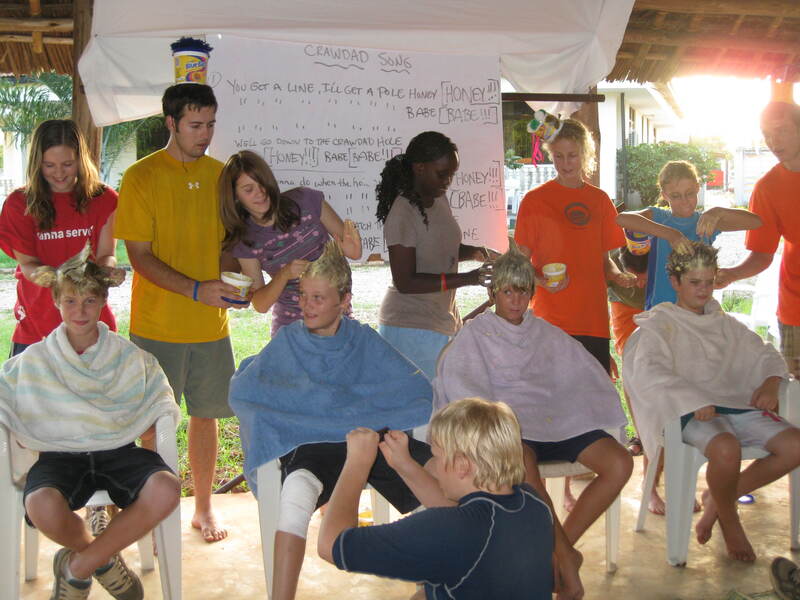 We had Pass the Blue Band, much like Hot Potato, trivia about Blue Band, watched Videos about Blue Band, sang about Blue Band and we even had some hair styles made with Blue Band! 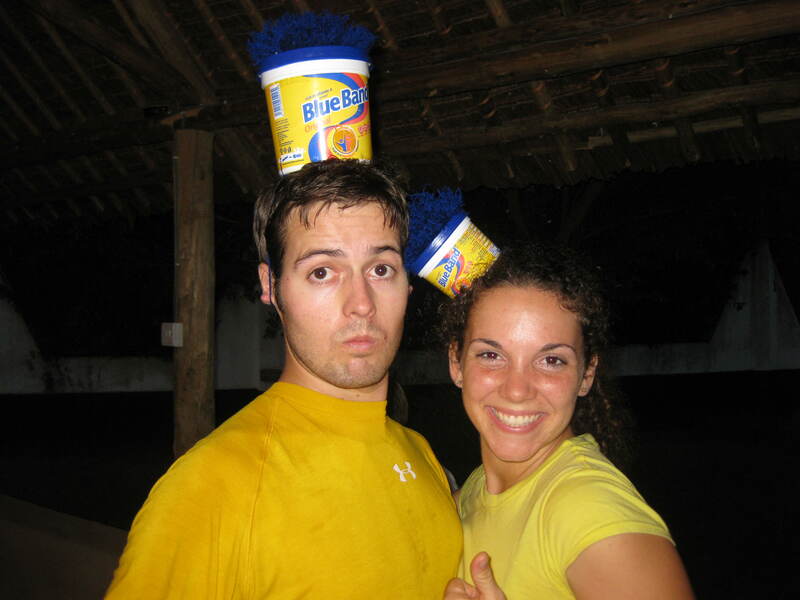 The leaders had a Blue Band Hat making competition. So fun! I would venture to say it was one of our best clubs yet! I always love that the craziest ideas always become some of the best! Here are some pics from the occasion. So as mentioned in earlier posts, we travel by dala dala, old beat up vans that transport up to 30 people at a time. Dala dalas are not sent to the shop every 3 months for oil changes, or checked for leaks, or seat belts, or emissions testing. This all makes for cars that brake down quite often. Also, because the drivers do not want to waste any money they only fill up the tank for exactly what they will use that day. These factors combined create a recipe for inevitable mishaps. One day while riding a dala dala, all of a sudden it shut off. The driver and his co-worker, did not seem put off by it at all. He tried right away to start the engine again, but no such luck. Of course we were dead in the middle of a major road in the middle of rush hour. What would your instincts tell you to do at this point in time? Get out and push! Well as I was about to satisfy this instinct, a man who was hanging out in the dala dala and the co-worker, got out of the dala dala and started to push. The only catch was there were still 15 people seated inside. My mind could not comprehend the situation! The little voice inside my head was screaming “COMMON SENSE PEOPLE” It takes 10x the amount of energy to push a dala with 15 people in than if you ask the people to get out and then push. Culturally though, people do not want to see their money wasted. They had all paid for the ride even though we were no where near anyone’s destination. The driver and co-worker were not about to give up the money they already had received therefore, their only option was to push. It took every ounce of my self-control to not get out and help the two men pushing 15 people. After a long, embarrassing trek to the gas station, the men sweaty and yet seemingly complacent about the whole thing, filled the tank with the equivalent of just 5 dollars of gas so they could get to their next stop. Undoubtedly this was not the only problem with the dala. The fuel injector was also not in the best of shape. After trying to start the car 10 times they decided they needed a push start to get the engine running again. So out they went to push again, all 15 of us sitting inside. A quick little push start and we were on our way. As we headed towards our destination the car stalled time after time. The driver decided to take the dirt road because as soon as he took his foot off of the pedal there was not enough gas to sustain the engine. He thought the dirt road would be less stop and go traffic. He was wrong, all traffic in Dar, in the middle of rush hour is stop and go traffic. Soon we were on a dirt road with the engine quiting the second we had to stop, and the two men pushing us back into action once the traffic moved a bit. Eventually, they gave up and pulled over to the side of the road to let us all out. I gave the man some extra shillings to make up for the ridiculous trials they had gone though during the previous hour or so. I still can’t believe that this was culturally acceptable, but it makes me thankful for all of the times people have helped me push my car and that I was not the dala dala workers that day. As of this morning, my dad is finally home. His lung is working all on its own and is on its way to a full recovery. Now it’s just time for some rest for my dad. If you know him at all, you know how hard this is for him. : ) Maybe he can take up a nice hobby like puzzles, or making ship models in a bottle. Ya right. I am sure he will be right back in the saddle in no time. Thanks for all of your prayers! Praise the LORD!